Strike King 4" Game Hawg Soft Bait - Blue Craw. A favorite creature soft bait that is designed to be fished with a Texas rig or a Carolina rig. 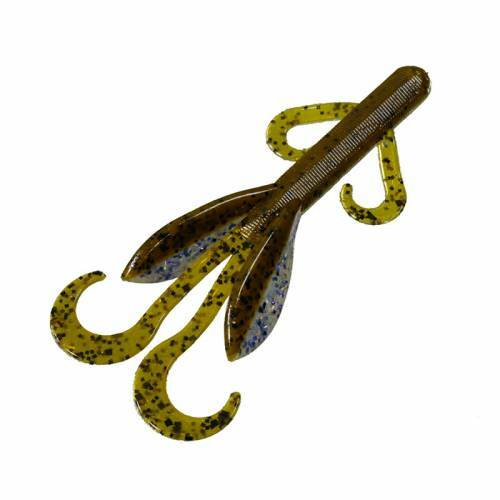 The legs and flappers move with the slightest twitch of the rod tip. A very salty lure with a coffee scent that masks human scents and oils.